A survey done by GALLUP Pakistan that is investing immensely in Behavioural Science Experiment and is also a rising social science research lab in Pakistan, has rated Pakora/Bhajiya as the most popular food item served during Iftar in every Ramadan. Pakora/Bhajiya served during Ramadan makes them really enjoyable and since healthy food is required as fast is broken only after sunset after performing Maghrib prayers. Includes fresh spinach leaves coated with Besan batter; contains various spices; served topped with chaat masala, green chutney and sliced onion. 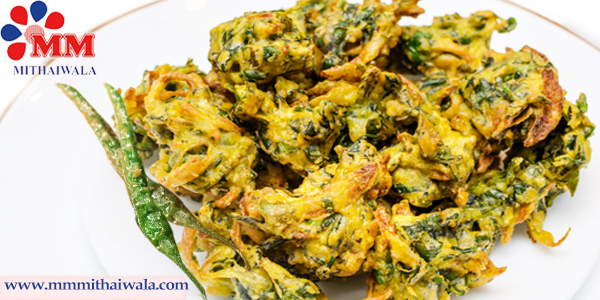 These crispy healthy Palak Bhajiya are the perfect snack as the taste comes with the health benefits of Palak. Mostly people make Palak Bhajia/Pakora at home however MM Mithaiwala has made this task easy for them and offers Palak Bhajiya/Pakora ready to be served during Iftar which includes crispiness of the Pakora, freshness and health benefits of Palak. This is a complete bliss especially during monsoon season and Ramadan available at MM Mithaiwala. This Pakora has maintained its crispiness and its golden brown colour and when served with tomato sauce or sweet chutney; the taste is truly a blissful. The most amazing part is its crispness and freshness which is maintained surprisingly. As soon as you open the packet to serve Moongdal Bhajiya the crunchy yet softness of it when served with chutney is a perfect blend of taste and health; served during Iftar. These golden coloured Kanda Bhajiya when sprinkled with chaat masala and serve up with green chutney gives the person freshness as well as taste that is much required after breaking the fast. 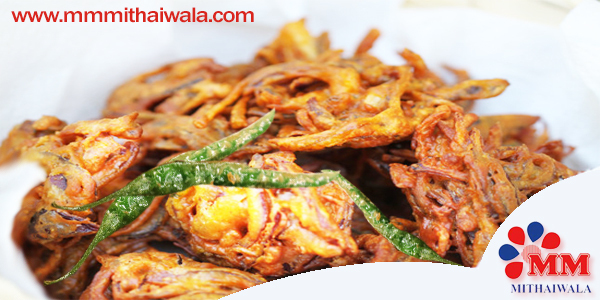 MM Mithaiwala has out of the world technique where the crunchiness along with freshness of Kanda Bhajiya is maintained perfectly. By heating it a bit in microwave, you will definitely feel as if it’s just taken from the frying pan. It is very easy to make Kanda Bhajiya however MM Mithaiwala has made this task easier by making readymade Kanda Bhajiya available at the same time retaining its freshness. 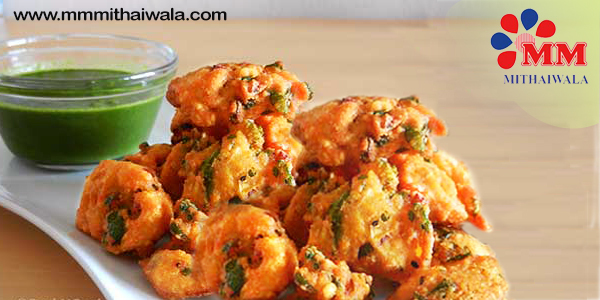 Here the user will have to make ZERO compromise with respect to taste and freshness of Kanda Bhajiya. 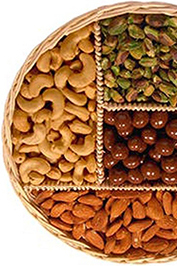 During Ramadan fasting is done to keep the body, mind and soul healthy. It has been proved medically that fasting during Ramadan has a positive effect on Insulin, blood pressure, cholesterol level of the body. All these also have a positive effect on the brain. MM Mithaiwala goes beyond just selling eatery items, it ensures that no stone is unturned with respect to maintaining the freshness and health benefits of all eateries that it offers. 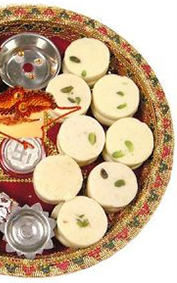 At the time of Ramadan MM Mithaiwala will join your hands in making Iftar easy, memorable and enjoyable as per the requirement of fasting during Ramadan.